Twenty-six instructors of the Sri Lanka Army ranging in rank from Lieutenant to Major participated in a Training of Trainers (ToT) course on International Humanitarian Law (IHL) organised by the ICRC Colombo delegation and the Directorate for Overseas Operations (DOO) from 11- 14 June. The Directorate was opened recently – on 12 April – and is located in Colombo. It was established with the objective of enhancing the Sri Lankan Army’s capability for peacekeeping operations. The Army Commander, during discussions with the ICRC earlier in the year, had expressed a wish for a close working partnership between the Directorate and the delegation. Speaking at the opening ceremony, Major General Dananjith Karunaratne, Director General of the General Staff, Sri Lanka Army, and Major General Mervyn Perera, Director General of the DOO, acknowledged the ICRC for its support and recognised the value of their dialogue with the organisation on the conduct of hostilities. The aim of the ToT was to familiarise selected army instructors with the ICRC’s mandate and activities in Sri Lanka and abroad and to equip them with the necessary IHL knowledge and tools to perform in their new role. The four-day course consisted of a combination of presentations, discussions and practical exercises and covered a range of subjects on and around IHL, including sexual violence, health care and access to education. It offered participants a unique opportunity to learn, question and discuss IHL and the application of its rules and principles in modern day armed conflicts and their complexities. Welcoming participants, Gérard Peytrignet, Head of Delegation of the ICRC in Sri Lanka, said the course represented the first step of a new and evolving partnership between the DOO and the ICRC, with the wider aim to further develop the teaching and training of Sri Lankan military officers. He added that it would ultimately encourage full integration of IHL in the policies, programmes, manuals, rules of engagement and procedures of the military, as well as a significant element in the decision making processes during military operations. Sri Lanka has been contributing to peacekeeping operations since 1960. 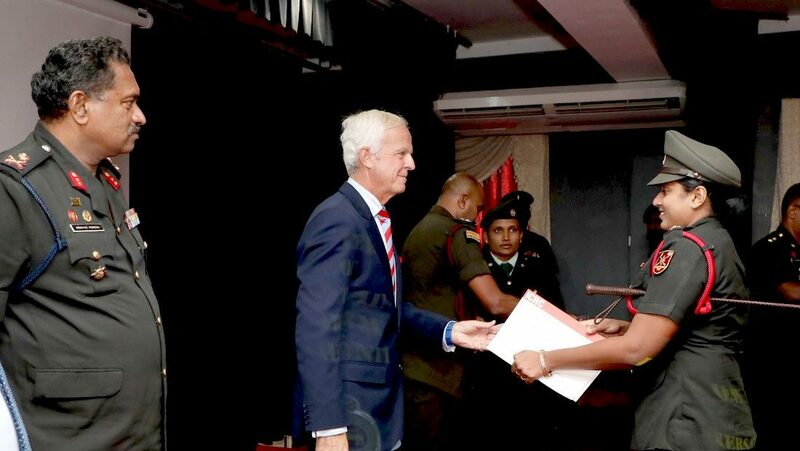 To date, 18,509 members of the Sri Lanka Army have contributed to peacekeeping missions, including the services of Military Observers, Staff Officers and Staff Officer Assistants. Currently, troops are deployed in Lebanon, South Sudan, Mali, and the Central African Republic.